The Lego Movie 2: The Second Part is a thematically audacious, frequently hilarious, incredibly inventive return to the world of one of the best movies of 2014. To be sure, The Lego Movie 2 is a lot of fun. If you loved the first movie or just need something to see in theaters, it won’t disappoint. It neatly subverts a bunch of the issues the first movie had, particularly when it came to how that movie portrayed its women characters. But it also loses a little something in terms of expectations versus reality. In 2014, a movie based on Legos seemed like such a stupid idea. In 2019, we know better. The bar is higher, and Lego Movie 2 doesn’t clear it with nearly as much ease. Is that slightly unfair to the sequel? Maybe. But it’s also the classic sequel problem. The Lego Movie 2 does everything it needs to do to be a pretty good movie, but it never once takes the leap into somewhere completely unexpected. Instead, it chooses to follow the assembly instructions for a movie sequel to the letter. And leaping into somewhere completely unexpected — without checking the instructions — was what its predecessor did best. In the future, most movies will be based on brands. Pray they’re as good as The Lego Movie. 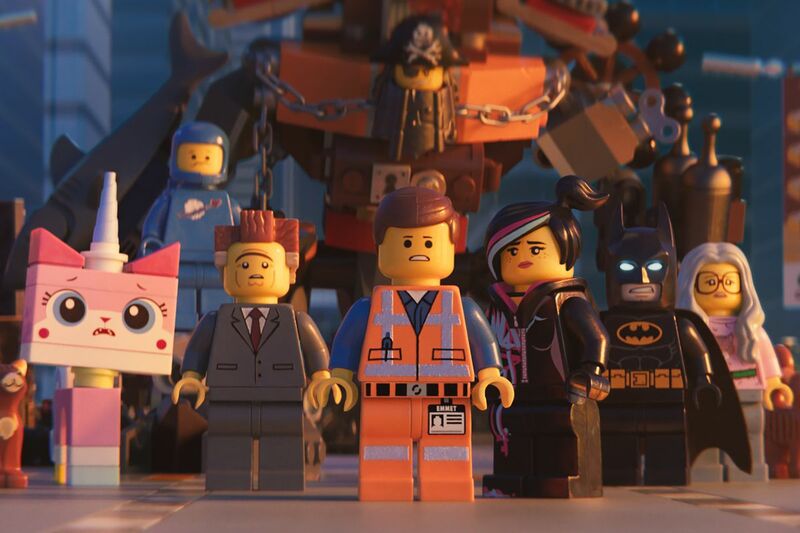 So let’s look at three ways The Lego Movie 2 tries to one-up its predecessor and gauge how successful it is at any or all of them. Lucy and Emmet talk about their future as The Lego Movie 2 begins. Here is the one place where The Lego Movie 2 largely improves on the original. The 2014 film was an elaborate series of nesting layers, all of which were stories about tricky relationships between fathers and their sons. And while the most prominent woman in the film, Lucy/Wildstyle, a badass Lego warrior voiced by Elizabeth Banks, was a fun character, she was sidelined in the movie’s big climax in order to elevate Emmet, the movie’s Lego hero (voiced by Chris Pratt). It was something that Tasha Robinson, then of The Dissolve and now of Vox’s sister site The Verge, dubbed the “Trinity problem.” If you were really connected to what Lucy was doing, then the first film’s conclusion rankled just a bit. Emmet was a lot of fun — and, honestly, Pratt’s performance in these movies might be his best big-screen work — but in trying to tell a story about how he wasn’t the only special person in the world, the film inadvertently made him the most special person in the movie. The end of The Lego Movie deftly sets up how The Lego Movie 2 will be just as much Lucy’s story as Emmet’s. In the concluding scene of that film, the characters are confronted by invading aliens from the “Duplo system” — meant to represent the creatures built by the younger sister of the boy whose imaginary adventures drive the storytelling of both movies. Thus, the second movie now has an important female counterpart to the dudes, at every level — a sister (played by The Florida Project star Brooklynn Prince) for the brother; a mother alongside the kids’ father (whose cameo I won’t reveal because she’s so good and just a little surprising); Lucy alongside Emmet. There are even a couple of new characters to better even out this balance, including a queen with potentially duplicitous motives (Tiffany Haddish) and her right-hand warrior (Stephanie Beatriz). This splitting of the narrative also shifts it just a bit to focus on questions of how a story changes depending on who’s telling it. If you pay attention to various scenes, it becomes clear when the characters are being “written” by the brother, who wants to tell a story about the anxiety he feels at his approaching adolescence, versus “written” by the sister, who just wants her big brother to think she’s worth spending time with. This also allows the plot to do some neat subversions of typical stories. It starts out seeming like Emmet is going to have to save his friends from the first movie from the evil invaders of the “Sis-star System” (get it????? ), but it turns out that Emmet just might be the one in need of saving, that his quest up the staircase and into the new system might be about him realizing that others have valid points of view, too. But that brings us to something that sort of bogs the movie down.